The swamps, tidal forests and wetlands of coastal North Carolina are studded with the snags of bald cypress, swamp black gum and water tupelo trees. But climate change is threatening these woodlands, as rising seas push saltwater into freshwater wetlands and estuaries. A story published today by Yale Environment 360 says that saltwater intrusion is killing off coastal forests from Florida to New Jersey. Yale Environment 360 is published by the university’s School of Forestry and Environmental Studies. In North Carolina, the vulnerable regions include Currituck, Camden, Chowan and Dare counties, plus those near the Albemarle and Currituck sounds. Saltwater also begins breaking down peat — partially decomposed vegetation — faster, which can have drastic consequences in places like North Carolina’s Albemarle-Pamlico Peninsula, where elevation on average is only two feet or less above sea level. The loss of peat causes land to subside, enabling saltwater to move farther inland. 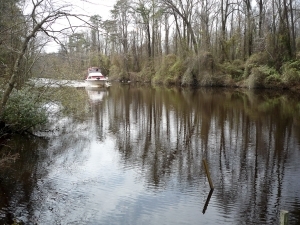 Forest habitat can then transition to marsh and, eventually, open water. Dozens of bird, animal and plant species frequent tidal forests and swamps: The black-necked stilt and yellow rail are both classified as “significantly rare;” the American alligator is threatened; and the wood stork is threatened, according to the NC Wildlife Resources Commission. Yale 360 went on to report that a National Science Foundation-funded, $1.5 million collaborative project among North Carolina universities is allowing researchers to map a vulnerability index for ecosystems prone to saltwater intrusion. Marcelo Ardón, assistant professor of ecosystem ecology at Eastern Carolina University is a member of the research team. 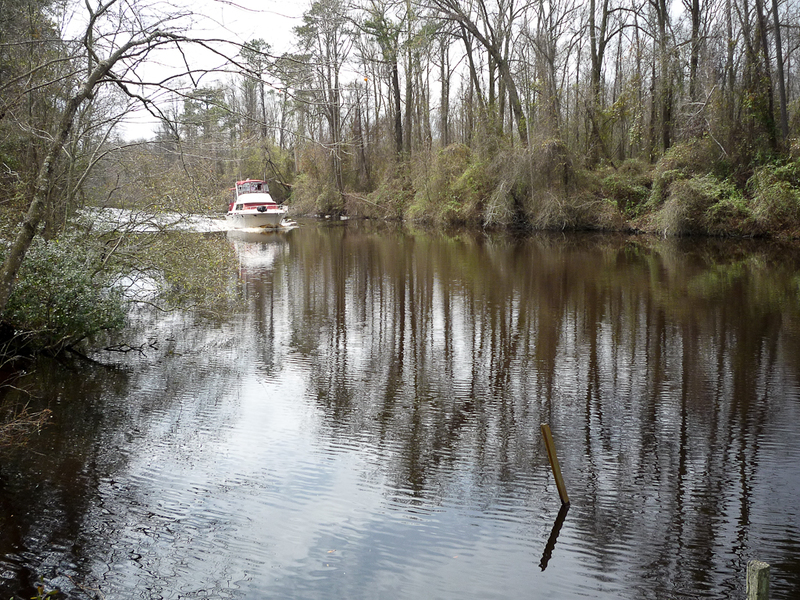 He hopes the maps will raise awareness among residents, water management planners, and local officials about how regional decisions can alter the ecosystem in the 2,300-square-mile Albemarle-Pamlico Peninsula and pinpoint areas that will be most threatened. At the Palmetto-Peartree Preserve, on the tip of the Albemarle-Pamlico Peninsula, however, the forests continue to die, Yale 360 reported. “There are a good number of places where the forest has gone to marsh and other areas where the forests have been replaced with open water,” Ardón said. Previous PostReidsville physician, scholarly reports, TV news segments show us again why NC policymakers need to close the coverage gapNext Post Will conservatives provoke a constitutional crisis over the Supreme Court?